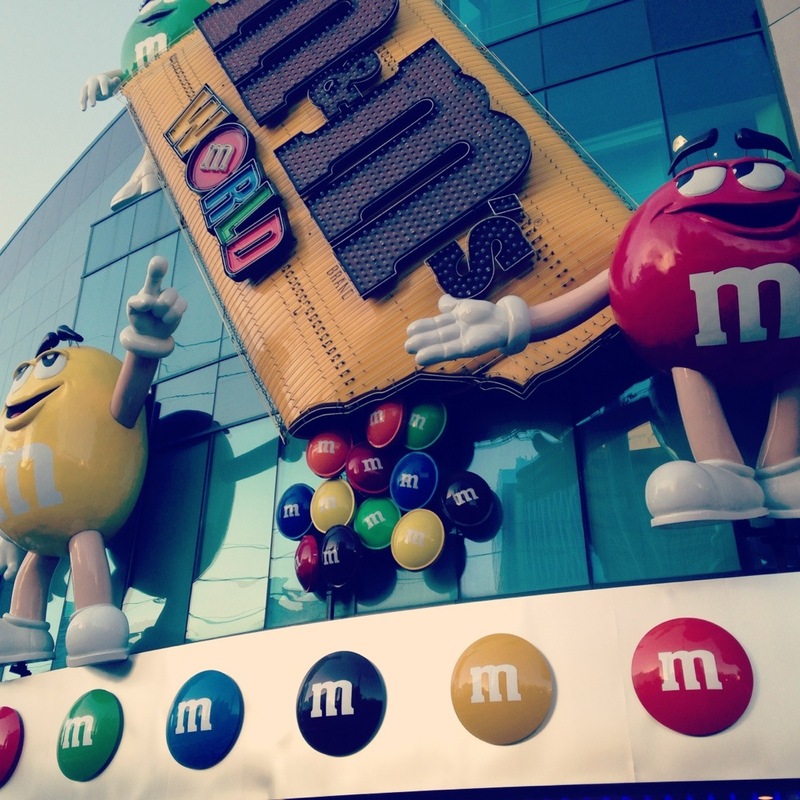 Last weekend my boyfriend and I went to check out M&M World on the Vegas strip. My favorite part was the samples, of course. 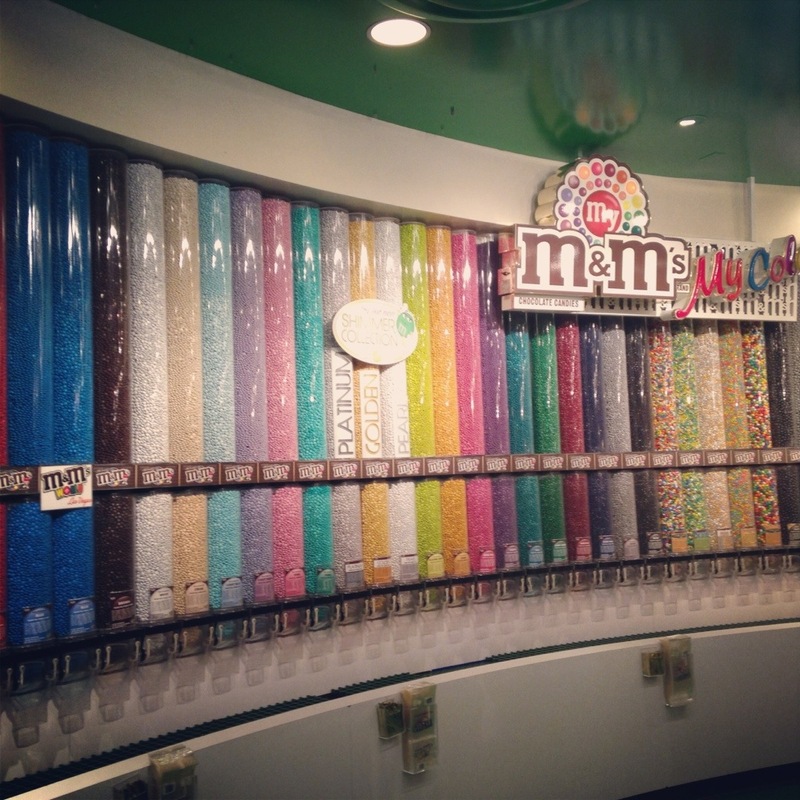 Although they could have given out larger helpings… 3 mint M&M’s is not enough to satisfy my chocolate cravings, but they are delicious. 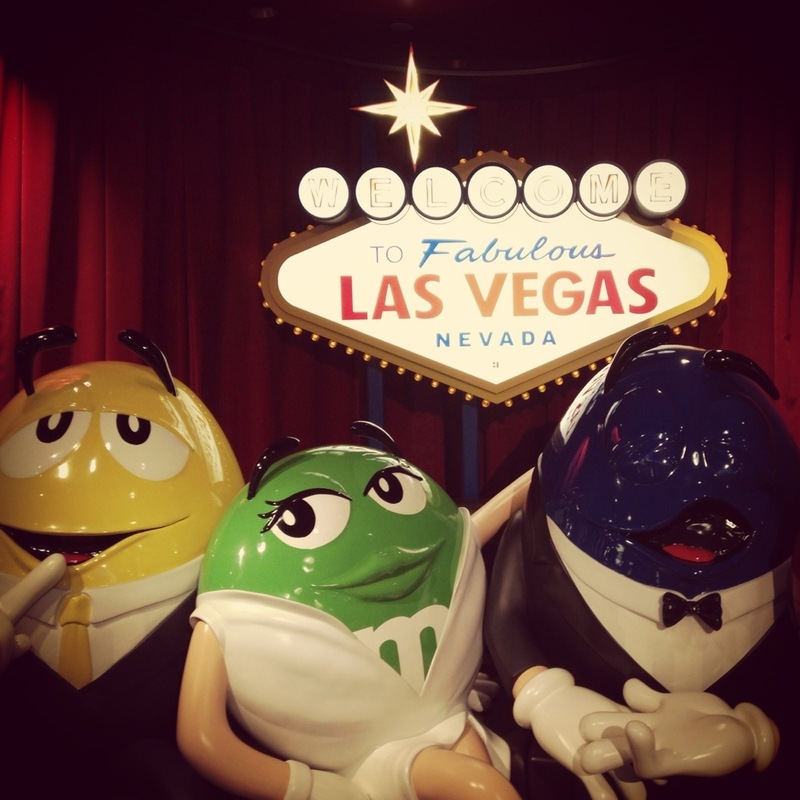 We also watched a surprisingly entertaining 3D movie, called “I Lost my ‘M’ in Vegas.’ It was a ten-minute film about the red M&M gambling away his ‘M’ and having to get it back. Seeing all of the M&M’s inspired me to do some baking! 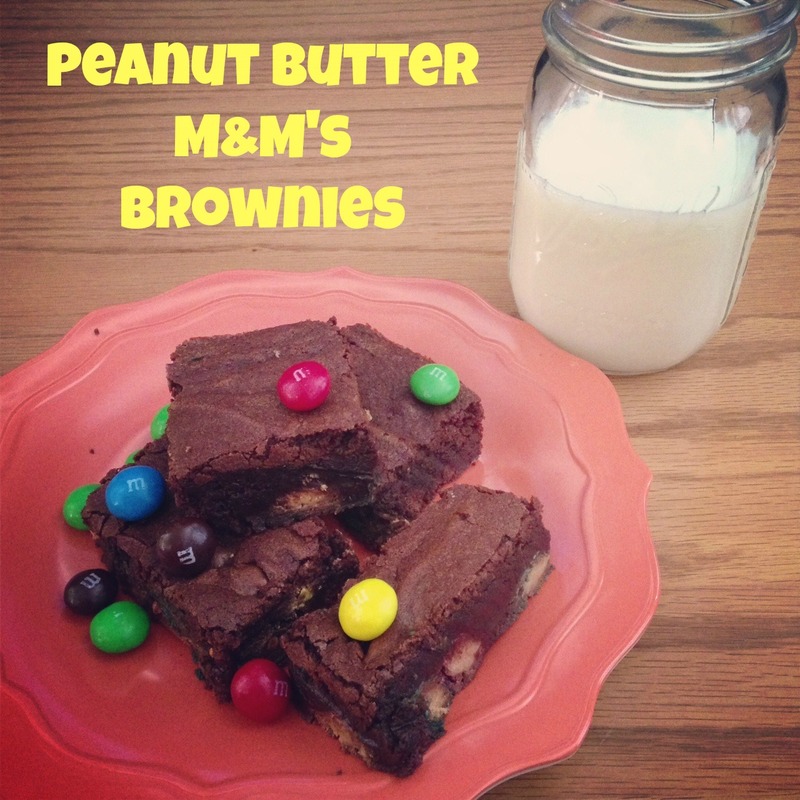 I decided to add the peanut butter M&M’s to one of my favorite brownie recipes. You can’t go wrong with peanut butter and chocolate! Pre-heat oven to 350 degrees. Spray 9×13 baking pan with cooking oil. In a small saucepan over low heat, melt butter. Add sugar and stir constantly for one minute, until combined. Pour butter mixture into bowl of standing mixer. Add cocoa powder, eggs, salt, baking powder and vanilla extract. Mix well until combined. Then mix in flour. 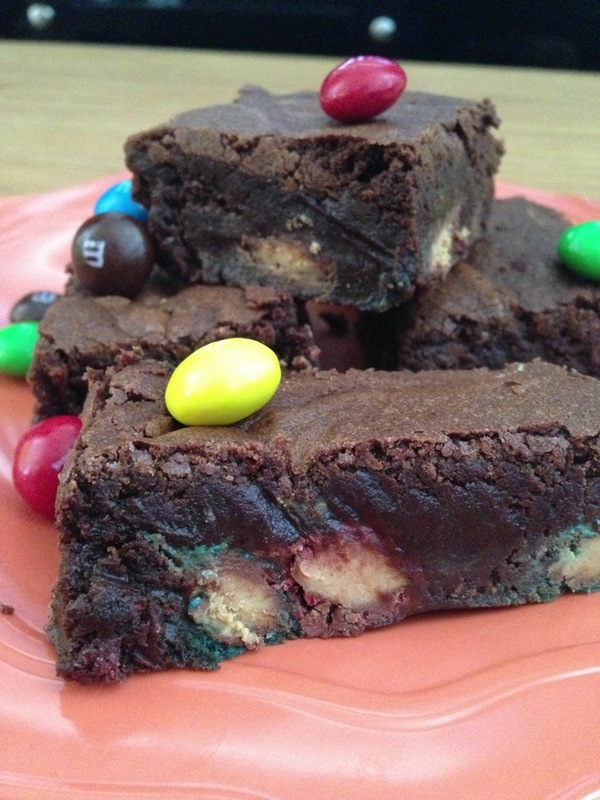 Using a spatula, gently fold the M&M’s into the batter (save some to sprinkle on top of batter). Pour into prepared baking pan. 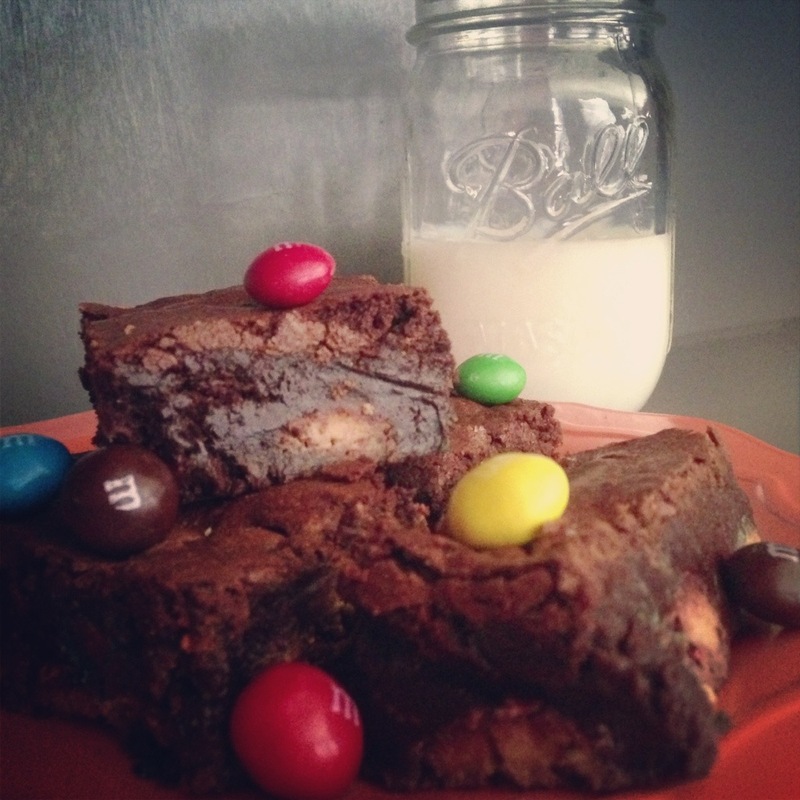 Sprinkle on remaining M&M’s and bake for 30-35 minutes, until toothpick comes out mostly clean. I’m a fan of gooey brownies, so I make sure to never bake it too long.